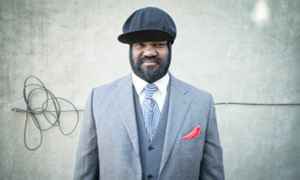 American jazz vocalist, songwriter, and actor, born in 1971 in Sacramento, CA and raised in Bakersfield, CA. Resides in New York City, USA. Gregory Porter, Jazz Collective, Room56 Gregory Porter, Jazz Collective, Room56 - 1960 What?